German 2,000 Guineas winner Poetic Dream proved the highlight of Arqana's Arc Sale on Saturday evening when bought for €900,000 by Louis Le Metayer's Astute Bloodstock. Consigned from Andreas Woehler's stable, the Group 2-winning son of Poet's Voice was bought for an Australian partnership and will be trained by David Hayes. "We have bought him with next year's Cox Plate in mind," Le Metayer said after signing the docket. "He won the German Guineas in a really good time and he ticks all the boxes for us. There is huge prize-money available in Australia for the top races, and we think he will stay further in time." A son of the Listed Lingfield Oaks Trial winning Poliglote mare Zain Al Boldan, also owned by Jaber Abdullah, Poetic Dream is a close relative of stakes winners Golani, Never Forget and Svedov. Silverwave, the highest rated horse in the catalogue, will attempt to give his new owner Martin Schwartz a quick return in the Qatar Prix de l'Arc de Triomphe on Sunday after selling for €500,000 earlier on in the evening. Knocked down to Michel Zerolo of Oceanic Bloodstock, the five-year-old son of Silver Frost, victorious in the Group 1 Grand Prix de Saint-Cloud last season, will break from stall 16 at Chantilly before continuing his career in the United States. "We have bought many fillies in the past very successfully, so it's also nice to be able to buy such a high quality colt as well," said Schwartz. "We have a lot of top races over [middle distances] in the United States that do not have a great depth of talent in them, so this will be the aim with him. He'll go to Chad Brown." Trained by Pascal Bary, Silverwave won the Group 2 Grand Prix de Chantilly earlier this season, besides finishing runner-up in the Grand Prix de Saint-Cloud and third in the Prix Ganay for his previous owner, HSpirit. The consistent three-parts brother to Group 1 winner Stormy River has won seven of his 18 starts to date, and placed six times. A short while later Schwartz struck again, this time for recent Listed Prix Occitanie winner Miss Melbourne from Antoine de Watrigrant's stable. Bought for €370,000, the daughter of Kentucky Dynamite will also join Brown in due course, though also holds an entry in the Grade 1 EP Taylor Stakes at Woodbine on October 15. "We were prepared to pay more so we feel very fortunate to get her at that level and hopefully we'll have good fortune," Schwartz said of the daughter of Listed-placed Anabaa mare Miss Alabama, from the family of Group 3 winner Matarun. "I have the best turf trainer in the United States," he added. "He won his first two Grade 1s with me, with Stacelita and Zagora, and I want him to keep remembering my name. Since he won the Eclipse Award last year as the top trainer in America, I have to keep sending him stock to run - otherwise he'll forget about us!" Though absent from the sales ring, Stroud/Coleman Bloodstock made their presence felt when going to €460,000 for the Wertheimer brothers' African Ride, through Freddy Powell. Runner-up in the Group 3 Prix de la Porte Maillot at Deauville in June, the Candy Ride colt was bought for an undisclosed client. 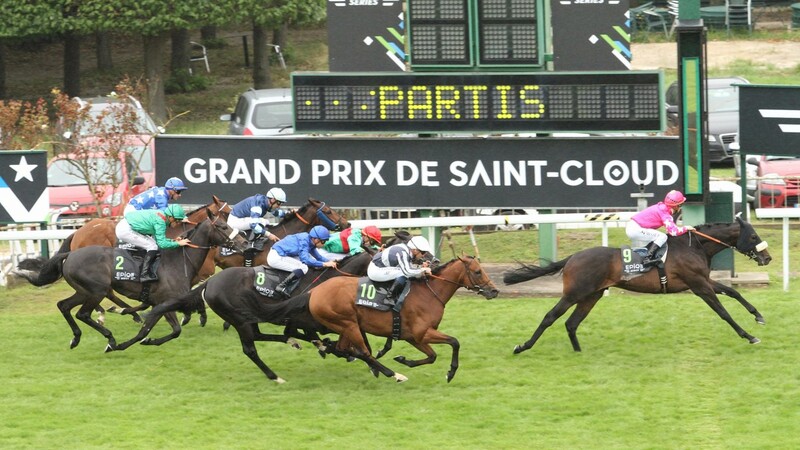 He had also shown his aptitude on the Polytrack when winning the Listed Prix Montenica over 1,300m. The sale also had several high profile buy-backs, the most expensive being Longines Prix de l'Opera candidate and recent Group 2 winner Ashiana. 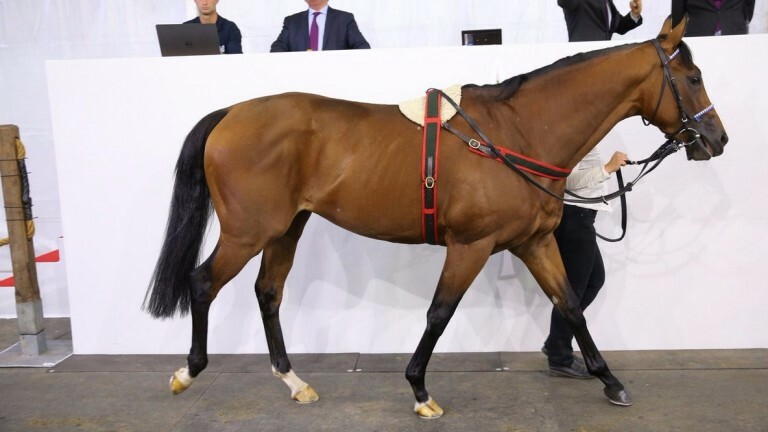 The three-year-old daughter of Mastercraftsman was unsold for €1.2 million.